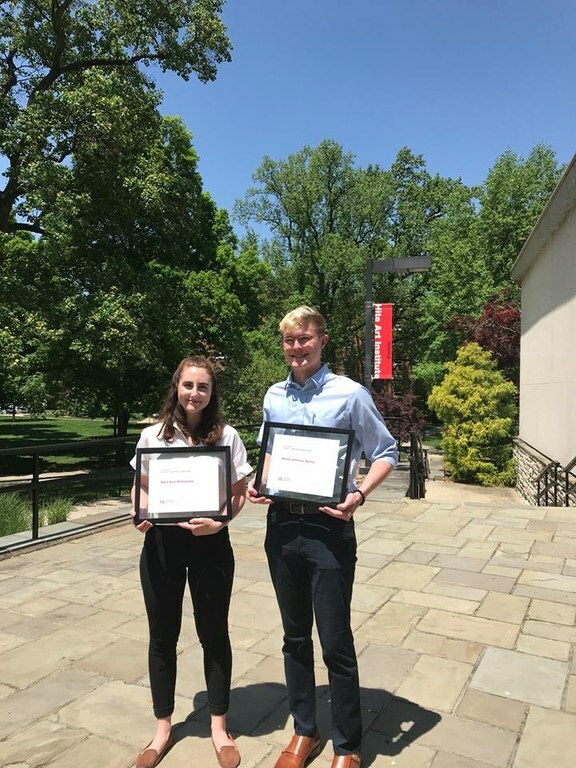 Henry Kerns and Sara Olshansky have been awarded the Covi Scholarships on Tuesday, May 8, 2018. 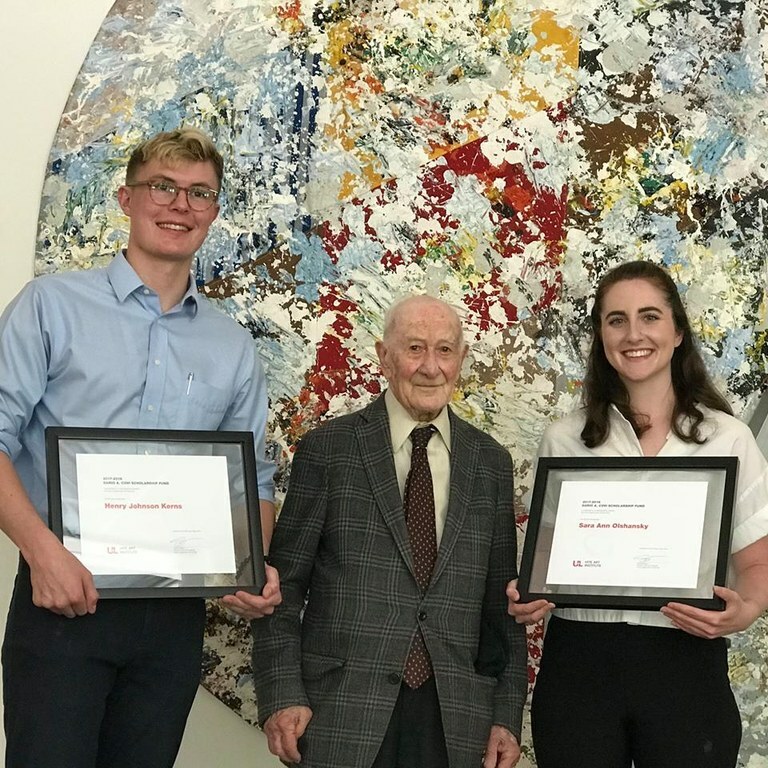 The Dario Covi Scholarships are given to students in their last year of study who reflect the hallmarks of Dr. Dario Covi through civic-minded engagement in all aspects of the department, work across media boundaries and programmatic divisions, and in the broadest sense, reflect the traditions of the Hite Art Institute. A native of Livingston, Illinois, Professor Dario Covi studied at Eastern Illinois State Teachers College, the University of Iowa, University of London, University of Florence and New York University where he received his PhD in Art History in 1958. Dr. Covi joined the faculty of the Department of Fine Arts in 1956 at the rank of Instructor and was subsequently promoted to Professor in 1964. He served as the Curator of University Collection and Exhibitions (1958-1963), Acting Head of the Department of Fine Arts (1960-63) and the Department Chairperson and the Director of the Allen R. Hite Art Institute (1963-67 and 1976-79). Dr. Covi is a teacher and lecturer of the highest caliber. He is a highly respected scholar and of Italian Renaissance art history and an authority of the life and work of Andrea del Verrocchio of Florence. He has written numerous articles on Italian Renaissance, as well as many essays on local, regional and national artists published in exhibition catalogues. At 97 years of age, Dr. Covi is coming to work and study in the library several days a week. His pleasant personality, tireless dedication, noble character and insightful wisdom have continued to inspire the faculty, staff and students and brighten the Department. Dr. Covi's contributions to the University and to the Hite Art Institute are immeasurable.